The first Whiskybase Gathering is due to take place in November. 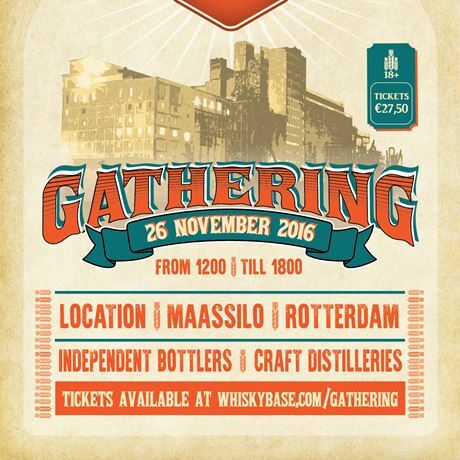 Whiskybase invites you to come to the Maassilo in Rotterdam to taste whiskies, meet your fellow whisky friends and share in the fun. Whiskybase Gathering will offer you a brand new whisky experience. We will focus on tasting rare single malts and meeting whisky friends in a relaxed atmosphere and an interesting location. The coolest independent bottlers and collectors will be there with their newest and best bottlings. You will have the chance to discover new and old craft distilleries known for their high quality whiskies. €27.50 (glass and five tokens included).